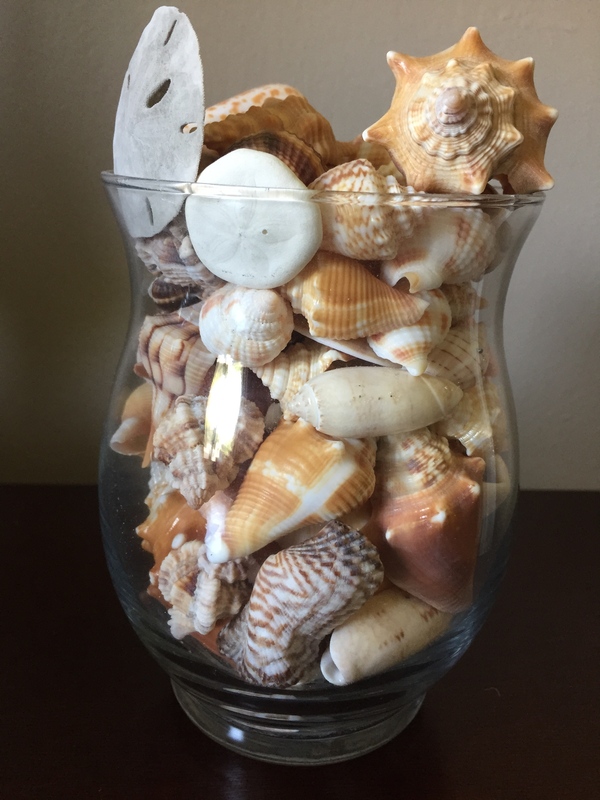 Well, the shells are beautiful… I have been looking around at everything I have collected over the years and think, now what am I going to do with all that stuff! Exactly! If you figure it out, please let me know! My sister has a thing for collecting shells too. Just to thin out the collection she started making crafts with them and selling them at shows. She does quite well sometimes. Just a thought! Hmmmm… That’s a good idea! If I could figure out a good way to market the shells, then I could stop feeling guilty about collecting them. Thanks, Nancy! So true! 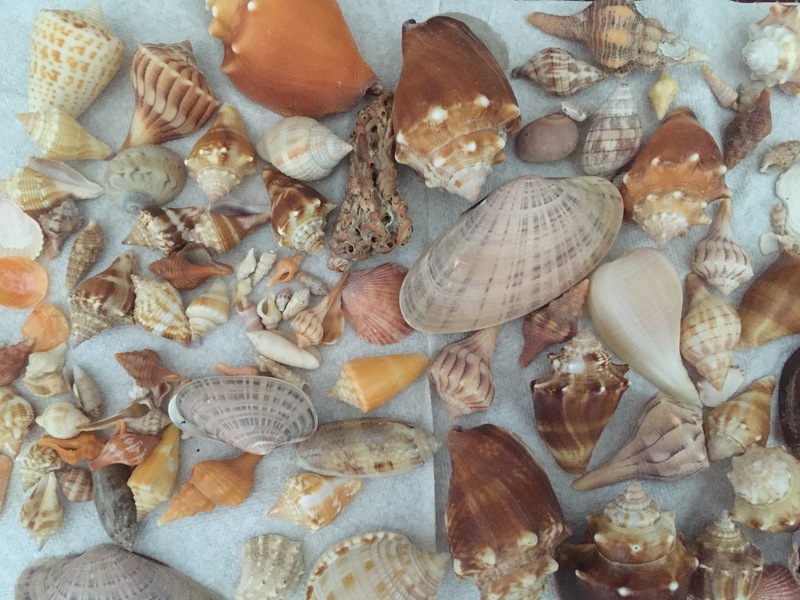 I don’t like having so many shells, but I really, really enjoy collecting them! Thanks, George! I dragged that same bin of beanie babies down here with me…. I totally get it. Saving them for the proverbial grandkids?? Probably!!! But very ashamed of how many of them we have! I have shells all over the house and even collect a few rocks. Wish I had a basement for all my “stuff.” I even have one or two beanie babies though I was not a real collector of those. Shells are beautiful anywhere in a interesting container. Like you I don’t like clutter. The beanie baby craze came from my kids, but I’m embarrassed to say that I bought lots of them for my son and daughter! I do love my shells, but I have run out of containers, and even places to put containers, so I really have to stop collecting them! But I agree that I like the way they look displayed around my house. Thanks for the comment! Books, crafts, paper…I hear you. Still trying to stop accumulating “stuff.” The shells are so pretty though. I love your lamp. Two bins of beanie babies….but yes, you are right! It could be a lot worse! It’s also memories and reminders that you are gathering, don’t you think? I try to bring home a rock from each place we visit. Yes, it is! 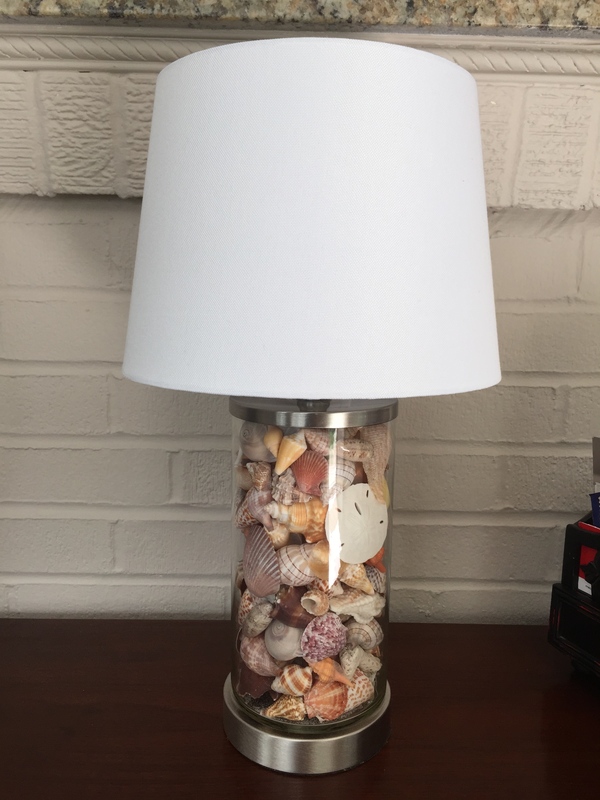 Living in the Midwest, we only get to collect shells on our vacation. So bringing them home is like bringing just a little bit of vacation back with us. I just have to remember that we have enough already! Or maybe follow your example and bring just ONE back!